"Like it or not, we either add to the darkness of indifference and out-and-out evil which surround us or we light a candle to see by." 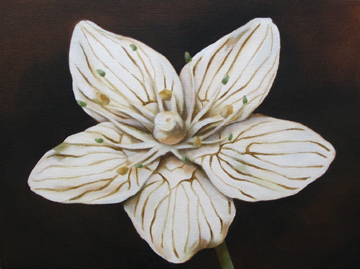 The ornate veining on Carolina Grass of Parnassus' petals are said to map out a kind of landing pad to encourage insect pollinators. The once abundant species is now threatened due to residential and commercial development of its habitat.